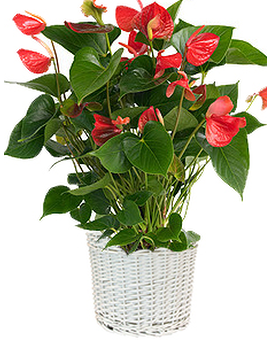 Anthurium Plant in Palm Springs CA - Palm Springs Florist, Inc.
Beautiful anthurium plant delivered in your choice of a elegant "knotty" ceramic or basket. Please be advised, anthurium plants are subject to availability. We most often carry red & pink. 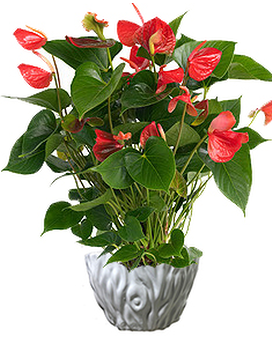 However the best looking anthurium available at the time of your order will be selected. Red anthurium, as seen in the photo may be substituted for pink.